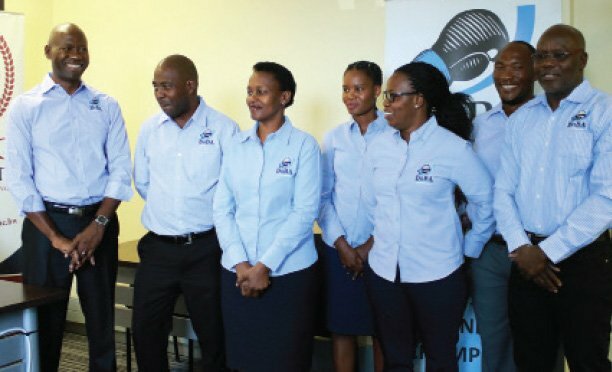 Newly elected president of Botswana Rugby Union (BRU) Dave Gilbert has cautioned that the doping saga that befell them early this year shouldn’t be discussed as it is still being investigated by the World Anti-Doping Agency (WADA). Gilbert said the two implicated players are not yet found guilty and for the benefit of the Union and the players’ reputation, this issue should not be deliberated upon as they are still waiting for the response from WADA pertaining to the case. “This issue is very sensitive and the players are not yet found guilty and talking about it right now can ruin the players and the union’s reputation. We are still waiting for the response and that’s when we will update the affiliates”, said Gilbert. The union treasurer Vincent Mashaya also cited issues of financial constraints haunting the union. He said they were forced to ask for funds from Botswana National Sports Commission (BNSC) to pay off debts.Unavailability of land is another major issue hindering the growth of the sport in the country. Former President Elijah Jones said they have land but because it has no title deed they can’t start working on it as they don’t have full rights over it. Training of coaches and referees was also discussed as a major goal to avoid the issue of using international referees and only referees from Gaborone in the northern region during tournaments. The team which was voted into office is headed by Dave Gilbert who beat Munyaradzi Mhonda for president. Other members are Lesedi Keakae (VP Admin); Sean Irish (VP Technical); Ernest Mantsi (Secretary General) and Vincent Mashaya.